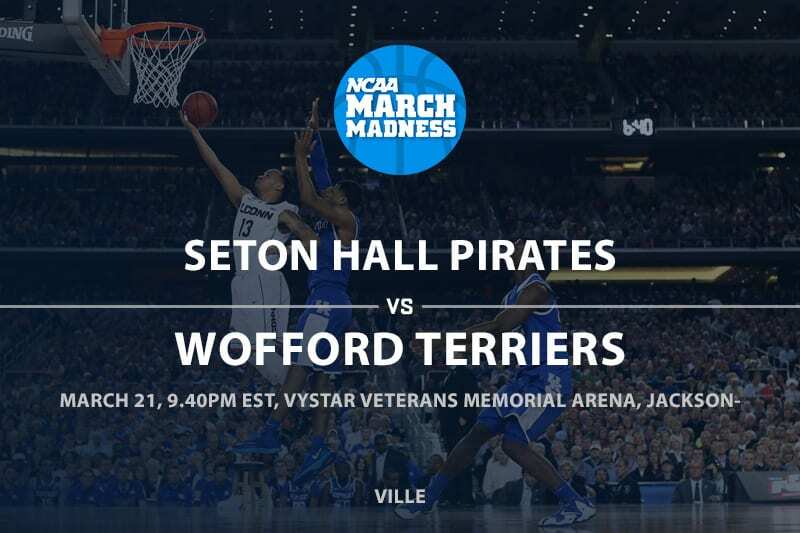 NCAA punters have great late game to sink their teeth into on Thursday night, as small school Wofford (29-4) puts their 18-game winning streak on the line against Seton Hall (21-12), which is in the tournament because of its solid run in the Big East conference tournament. Seton Hall was on the Big Dance bubble, but got to 20 wins and made it all the way to the Big East conference tournament finals. The Pirates rank in the middle of the pack in the nation in terms of ppg and points allowed and while from a major conference they are still the slight betting underdog in this Midwest Region matchup with Wofford. 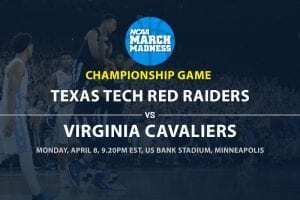 The winner of this game will face the winner of the Kentucky vs. Abilene Christian game. In the Midwest Region Wofford is the seventh seed and Seton Hall is the 10th seed. Wofford has won 18 in a row with all of those wins in Southland Conference play. Their only four losses came against teams from major conferences with two coming against Kansas and North Carolina, who are also in the Midwest Region. The Terriers are a very balanced team that ranks 39th in the nation in points allowed and 12th in ppg. 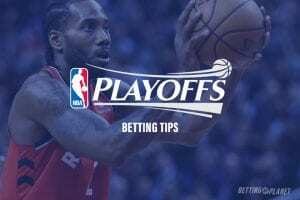 This season Seton Hall is 17-16 ATS and they have an Over/Under record of 14-18 and Wofford is at 19-11 ATS with an Over/Under record of 16-14. Seton Hall’s solid run in the Big East tourney came to end in the finals where they lost to Villanova 74-72. The Pirates played solid D in the game holding the Wildcats to 41.5% shooting, but they only shot 40.6% from the floor. Myles Powell led Seton Hall with 25 points on 9/19 shooting and two other players for the team scored in double figures. Powell is the player the Terriers have to worry most about, as he leads the Pirates averaging 22.9 ppg while the next leading scorer is Myles Cale at 10.3 ppg. Powell is averaging 28.3 ppg in his last six games and Cale has put up double figures in points in three of his last four games and had 10 points in the loss to Villanova. In their last game Wofford punched their automatic bid to the Big Dance winning the Southland Conference Tournament with a 70-58 win over UNC Greensboro. They came back from four down at the half to outscore the Spartans by 16 points in the 2nd half where they shot 43.8% from the floor and held UNCG to 37.7% shooting. Three players for the Terriers scored in double figures with Fletcher Magee, who was only 4/15 from the floor, and Nathan Hoover each going for 20 points. Magee leads three players for Wofford averaging at least 13 ppg at 20.5 ppg. Cameron Jackson (14.6 ppg) has totaled 35 points in his last two games and Hoover (13.2 ppg) is averaging 16 ppg in his last four games. Seton Hall has to play solid perimeter defense facing a Wofford team that ranks sixth in the nation in three-pointers per game (11) and second in three-point FG%. While Wofford was only blown out once in their four losses this season they did lose all four of the games by double figures. The Pirates have a solid backcourt and with their size they will give the shooters of the Terries problems getting open looks for the 3-ponter. I think the Pirates will win this game, but they will, at least, cover the spread.